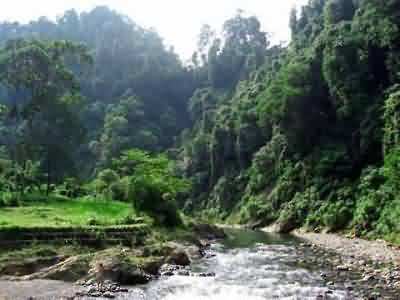 Mountain Leuser National Park is located at Nanggroe Aceh Darussalam and North Sumatera, Indonesia. It’s perfect example of coastal forest ecosystems, and tropical lowland and mountain rain forest. The rock types consist of volcanic rocks, limestone, sedimentary rocks, plutons, and alluvium, the terrain is dominated by a complex of brown podzolic, podzolic and litosol. 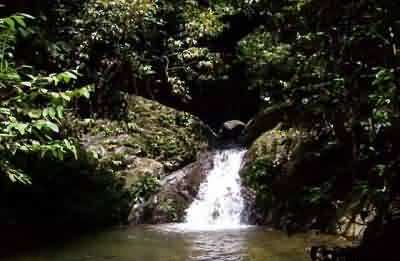 Mountain Leuser had been declared by UNESCO as a biosphere reserve. It is also designated as “Sister Parks” with the State Parks National Park in Malaysia based on the cooperation between Indonesia – Malaysia. 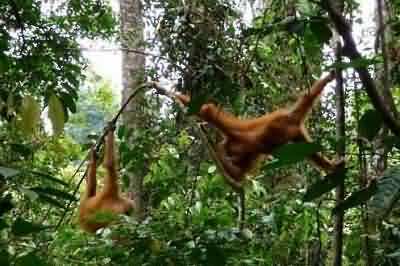 Gunung Leuser National Park is a habitat of abundant fauna species ranging from mammals and / Primates, Carnivora, Herbivores, Aves, Reptiles, Amphibious, Pisces and Invertebrates. 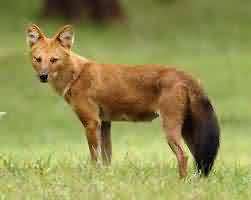 There are about 89 types of animals that are rare and protected here in addition to other wildlife species. The area consists of coastal forest / swamps, lowland forests, highland forests and mountains which most of the area is dominated by Dipterocarpaceae with rare flora like Raflesia atjehensis and Johanesteinimania altifrons (giant umbrella tree) and Rizanthes zippelnii which is known as the largest flower, rare and protected with a diameter of 1.5 meters. Gunung Leuser National Park has a complete spread of forest vegetation ranging from coastal forest vegetation / wetlands, lowland forests, highland forests and mountains. It is estimated there are about 3,500 species of flora in this National Park. Mountain Leuser itself. (3404 m asl) and Mountain Pecan (3314 m asl). Climbing and mountaineering. Bohorok. The rehabilitation place for orangutan and a natural attractions in the form of panoramic river, camping and bird watching. Gurah. See and enjoy the scenery, canyons, hot springs, lakes, waterfalls, wildlife observation and plants like the Raflesia flowers, orangutans, birds, snakes and butterflies. Kluet. Boating on rivers and lakes, trekking in the coastal forest and caving. But beware, this area is the habitat of Sumatran tigers. Ketambe and Suak Belimbing. A reserach place for primates and other wildlife. Sekundur. Camping, caving and wildlife observation. Rafting on the Alas River. There are traditional inns to cottages, canteen/restaurant, visitor center/tourist information, the path (trail) to enjoy the forests, hot springs, waterfalls, camping area, tower, shelter and guide officers who are experienced and ready to help you do a variety of activities. Medan – Kutacane (about 240 km), 8 hours by car. Kutacane – Gurah / Ketambe (about 35 km), 30 minutes by car. 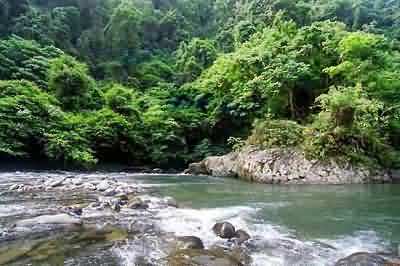 Medan – Bohorok / Bukit Lawang (about 60 km), 1 hour by car. Medan – Sei Betung Sekundur (about 150 km), 2 hours by car. Medan – Tapak Tuan (about 260 km), 10 hours by car. It’s a long trip. But it’s worth every seconds.